SOLAR POWER ALTERNATIVE ENERGY COLUMBUS, GA. CHARGE CONTROLLERS FOR OFF GRID IN STOCK. MORNINGSTAR HAS BEEN PROVEN FOR MORE THAN 20 YEARS IN RELIABILITY. BATTERY LIFE AND OVERALL PERFORMANCE AND RELIABILITY. MPPT controllers. This particular model includes a Remote Temp Sensor. 200 days of data. This version also comes with a pre-installed meter. wiring the PV input. See related items for an appropriate battery breaker and combiner box. 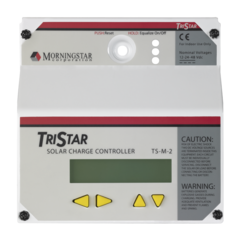 Morningstar's TriStar-60 Controller is a three function controller that provides reliable solar battery charging, load control or load diversion regulation. This controller operates in only one of these modes at a time but, two or more controllers may be used to provide multiple functions. The TriStar-60 uses advanced technology and automated production to provide exciting new features at a competitive cost. 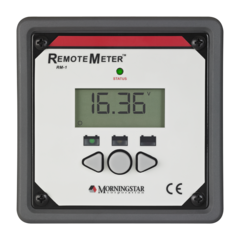 Optional: Morningstar's Remote Temperature Sensor (RTS) provides very accurate battery charging in solar systems that experience temperature variations during the year. Use with the TriStar for battery charging or diversion control modes (not for load control mode) whenever the temperature of the battery varies more than 5°C (9°F) during the year. When used with the TriStar™ controller (no on-board temperature compensation), the RTS adjusts charging for temperature changes at the battery. Morningstar’s TriStar MPPT TS-45 solar controller features TrakStar Technology™, an advanced maximum power point tracking (MPPT) battery charger for off-grid photovoltaic (PV) systems up to 3kW. The controller provides the industry’s highest peak efficiency of 99% and loses significantly less power compared to other MPPT controllers. This particular model includes a Remote Temp Sensor. The TriStar MPPT features "smart tracking" that maximizes the energy harvest from the PV by rapidly finding the solar array peak power point with extremely fast sweeping of the entire I-V curve. 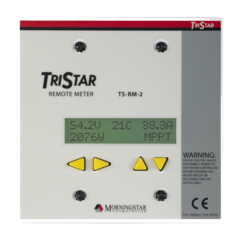 The TriStar MPPT TS-45A enables system monitoring, data logging and adjustability. It has a meterbus for communications between compatible Morningstar products and a Serial RS-232 connection for personal computers. 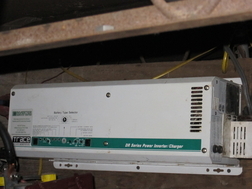 This charge controller will require DC disconnects and typically a combiner box with fuses or breakers for wiring the PV input. See related items for an appropriate battery breaker and combiner box. 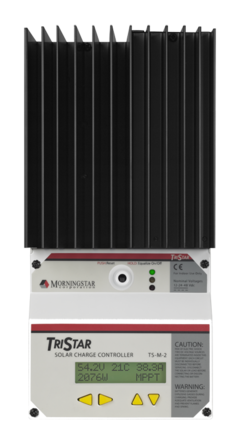 The TriStar-45 is UL listed and is designed for both solar home systems and industrial applications. 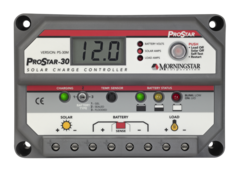 Morningstar’s third generation ProStar™ PWM charge controller offers additional features and capabilities while maintaining the same form factor, quality and reliability that has made the ProStar the world’s leading mid-range PWM solar controller for professional and consumer applications since 1995. The PS-30M includes a high resolution graphical meter to adjust settings and display logged data with the capability to store up to 256 days of data logging. The PS-30M also features advanced programmable lighting controls and enhanced surge rating for heavy DC loads. The 100% solid state PS-30M controller has an estimated service life of 15 years. Epoxy encapsulation protects the controller against dust and high humidity. Efficient electronics and a conservative thermal design allow the controller to operate reliably at high temperatures. Five year warranty and estimated 15 year life. 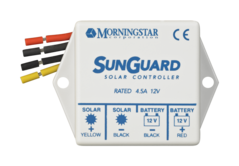 Morningstar's SunKeeper solar controller, rated at 6 amp or 12 amp at 12VDC, provides a low-cost regulated output directly from the solar module to maximize battery life in small solar power applications. 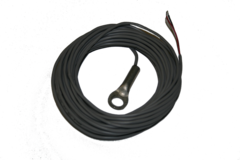 It has an epoxy encapsulation and is rated for outdoor use. It is also designed for extremely efficient power electronics and is rated to 70°C. 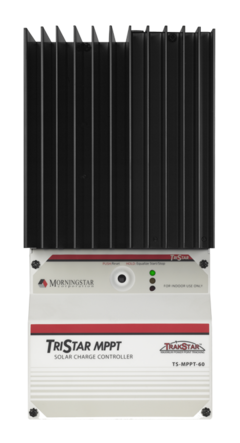 The Morningstar SunKeeper 6 is certified for use in Class 1, Division 2 hazardous locations which makes it ideal for solar powered oil/gas applications. 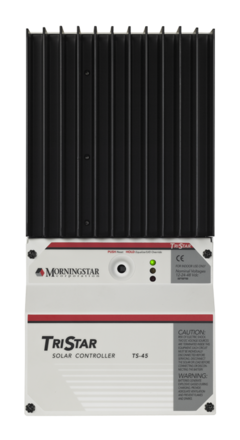 Morningstar’s SunGuard is the world’s leading single module controller. 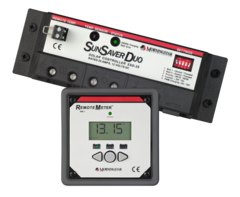 Morningstar has combined all the advantages of their SunSaver charging circuit in a less expensive package to provide an economical controller for small PV systems. 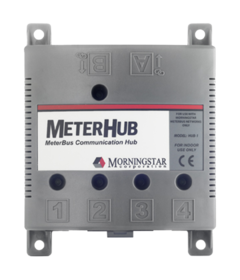 Displays individual controller data from up to 14 TriStar controllers with optional Morningstar Meterhubs. AS 12 VOLT 25 AMP CHARGE CONTROL PRE-WIRED BOX W/WHIP. Comes Complete with 10AGW MC4 Cables w/connectors. Battery cables and connectors with Heavy Duty Breaker Switch. Diode and MC4 Inline Fuse. AS 24 VOLT 25 AMP CHARGE CONTROL PRE-WIRED BOX W/WHIP. Comes Complete with 10 AGW MC4 Cables w/connectors. 8 AGW Battery cables and connectors with Heavy Duty Breaker Switch. Diode and MC4 Inline Fuse. AS 36 VOLT 25 AMP CHARGE CONTROL PRE-WIRED BOX W/WHIP. Comes Complete with 10 AGW MC4 Cables w/connectors. 8 AGW Battery cables and connectors with Heavy Duty Breaker Switch. Diode and MC4 Inline Fuse. AS 48 VOLT 25 AMP CHARGE CONTROL PRE-WIRED BOX W/WHIP. Comes Complete with 10 AGW MC4 Cables w/connectors. 8 AGW Battery cables and connectors with Heavy Duty Breaker Switch. Diode and MC4 Inline Fuse.